Researchers discover immense pyramid in Mexico, larger than Teotihuacan’s Pyramid of the Sun. 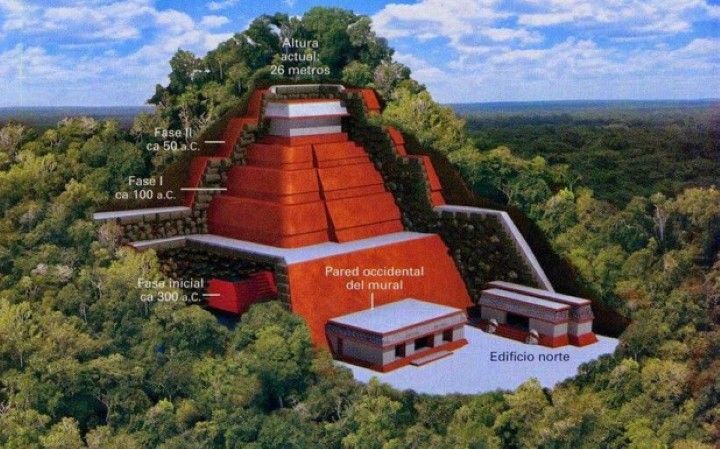 Researchers in Mexico have discovered a Pyramid that, according to initial measurements, is larger than the Great Pyramid of the Sun in Teotihuacan. Initial excavations were done in 2010. Emiliano Gallaga, director of the archaeological zone, explained that work has been done in the last two years, and by means of a “three-dimensional, researchers verified that in the northeastern part of the site, stands one of the largest construction in Mesoamerica, comparable in size only to great Mayan cities like Tikal and El Mirador in Guatemala. Another features which makes this “unique” pre-hispanic structure stand out are the seven platforms which integrate it and were specific spaces intended to serve as palaces, temples, housing and administrative units. It is a unique structure for various specific functions within the social, political, economic and religious structure, which is not repeated in any other archaeological site of the Mayan world stated researchers from INAH. “It’s a big surprise to see that the pyramid was done almost entirely by pre-Hispanic architects and therefore is more artificial than natural. “This is because it was believed that the entire structure was a natural hill, but recent evidence has revealed that the structure was almost entirely built by ancient inhabitants. Archaeologists added that the pyramid is bigger than we had anticipated. The structure is connected by roads located on top of surrounding elevations. Gallaga added that, after all of the information, we can confirm that this pyramid exceeds in height the pyramid of the Sun at Teotihuacan which measures 65 meters. INAH researchers have determined that the city center had an architectural continuity between 10 and 12 hectares, which is the double of what was previously thought and mainly corresponds to the south facade of the Acropolis, one of the most important Mayan areas known to researchers.